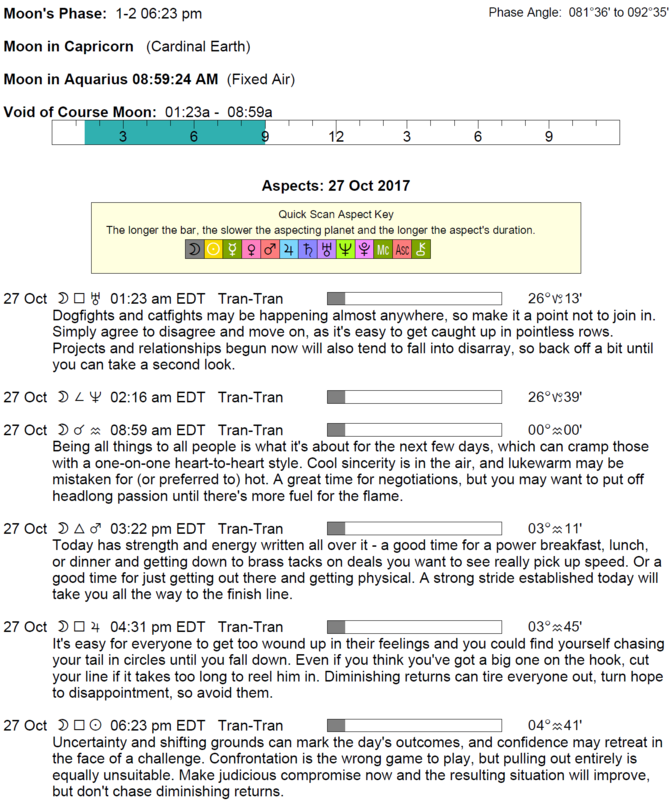 The Moon is in Capricorn until 8:58 AM, after which the Moon is in Aquarius. The Moon is void from 1:22 AM to 8:58 AM. The Moon is waxing and in its Waxing Crescent phase until 6:22 PM, after which it’s in its First Quarter phase. The First Quarter Moon occurs today at 6:22 PM. 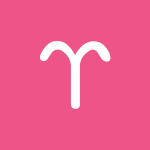 The Moon’s move into your light, airy social sector ultimately takes the pressure off, dear Aries, but as it confronts the Sun today, you may feel divided and frustrated temporarily. Part of you wants to pour your heart into something and another part needs to detach to gain perspective or to enjoy a break. This is complicated by a Venus-Pluto square that can serve to pull up suspicious or paranoid feelings. If relationship dynamics seem out of balance, try your best to replace fear with love to heal yourself and strengthen your relationships. Worries about work may be disruptive. More importantly, they’re likely unfounded or overblown. 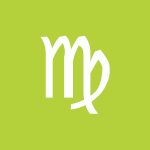 You get fantastic support from a Mercury-Pluto aspect that encourages you to sort out problems intellectually. This is a potentially strong day for talking strategy about business, financial, and other practical matters with someone, or simply for solving problems on your own. Verbalizing a fear may help take away its power, or someone you care about can help talk you through it and get to a more reasonable place. 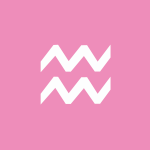 You’ll want to branch out and focus on long-term or career goals today, Taurus, which may seem to conflict with a relationship. Today’s energies are on the tricky side, but you can certainly learn a lot from the “messier” feelings that might emerge now. While exploring intense emotions is perfectly fine, dwelling on something that you can’t or don’t intend to change is not going to do you any good. Watch also for a tendency to express yourself in indirect ways, which can be destructive and frustrating. Letting go of the need to be right or insistence on getting at the truth of a matter can be the best thing for you and your relationships today! Try to put things behind you or, better yet, talk things through, as there is excellent energy for doing so. There can be illuminating conversations with or about a partner, and you stand to gain new insights into problems as information that was hidden in the past now emerges. Relationship dynamics that are no longer working well for you may be identified which opens the doors to change. 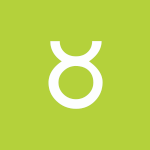 The Moon moves into your adventure sector this morning, Gemini, which usually helps you to rise above problems. However, complicated feelings are likely as the day advances. Firstly, your desire to break out of the routine can be a little disruptive right now. Secondly, Venus and Pluto form a square aspect, and it’s all too easy to find yourself on edge as the smallest thing can trigger you now. Something can occur that brings up the past and disruptive emotions. Be careful not to dwell on an issue that can’t be changed. Intense attractions and impulses are likely. You may sense hidden emotional traps in some of your interactions now. Unhealthy attachments may become clear today, and while this can feel a little uncomfortable, it also brings things into the light so that you can manage them rather than allow them to control you. 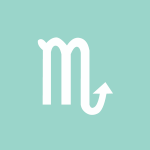 Fortunately, a Mercury-Pluto aspect helps you sort things out on a mental level. You’re in a great place for analysis, research, and investigation. New information about your job or health can emerge, and this helps you to make sound choices and decisions. You can be particularly wise about knowing what is no longer useful or right for you, and this can help you to tidy up your life in a significant way. 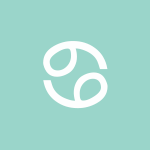 While you have particularly playful energy with you these days, today you crave more depth and might withdraw into yourself, dear Cancer. The facts and your intuition may be telling you completely different stories as the day advances. You might get the feeling that someone is either holding back or trying to control or direct you, which can be frustrating. Those close to you can be very touchy and sensitive now, as well. Don’t allow fear to overrule your day, however. Focus on breaking out of old patterns of relating that haven’t worked well for you in the past. Fortunately, you have divine energy with you for thinking or talking through problems and making meaningful discoveries. It’s, in fact, a strong time for gaining new insight into a creative or romantic matter as you see a new layer to a situation. The Moon moves into your social sector, and others begin to claim more of your attention, dear Leo. This may stir up some conflict, or you could be feeling divided. A Venus-Pluto square and a First Quarter Moon tend to ramp up the emotions. Interactions are loaded, and you can benefit from detaching yourself to gain some perspective. It’s all too easy for someone or something to trigger vulnerable areas of your psyche today. However, you’re also in a good position to think or talk things through, and you can end the day in a much more favorable place, at least on a mental level. If you get the chance to do so, it’s a great time for advancing creative goals. Conversations can run deep or touch you deeply. There may be newly discovered information about family, work, or health that adds a new layer to your understanding of a situation. You are likely to break ground on emotional matters. This is a day for power thinking that benefits you. 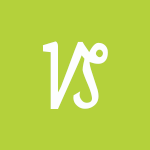 The need to crack down on your work or duties can cause a bit of chaos now, dear Virgo, as you scramble to prioritize. A Venus-Pluto square complicates feelings, too. You might be dealing with a possessive or jealous streak that means a lot more than it appears on the surface, as these are likely symptoms of deeper issues, likely having to do with a fear of not being in control. When Pluto is problematic, we tend to see where we’re overly attached or worried about not being in control. Avoid holding on too tightly to things and people or trying to maneuver things to get what you want. Money matters can also tie in now, and they can be tricky. Consciously allowing yourself to let go on an emotional level, even a little, can be cathartic. Fortunately, today is excellent for breakthrough thinking, insight, and conversation. Ideas can be refined, polished, and developed based on new perceptions. This is a great time for pursuing a learning endeavor, studies, or creative outlets. The Moon moves into your playful, creative solar fifth house today, dear Libra. This brief transit usually lightens your mood, but a Venus-Pluto square and the First Quarter Moon suggest heavier emotions and tense attachments now. Do your best to avoid allowing fear of lack of control to spoil your day. If family or home life need extra attention, do what you have to do, but also consider that you may be better off detaching just a little so that you can relax. You may be holding onto something too tightly now. If you feel that people are trying to manipulate you, or that you need to resort to manipulation to get your way, consider ways to confront problems head-on instead. Fortunately, you’re in a great position to resolve issues. This is a potentially brilliant day for problem-solving, in fact, particularly related to money or home matters. Socializing can bring financial tips or money-making ideas. The Moon moves into your home and family sector this morning, Scorpio, and you’re inclined to need more time to yourself for a couple of days. This is a necessary part of the lunar cycle, but you could be feeling as if you’re letting yourself down, or your need to recoup your energy can feel disruptive just for now. 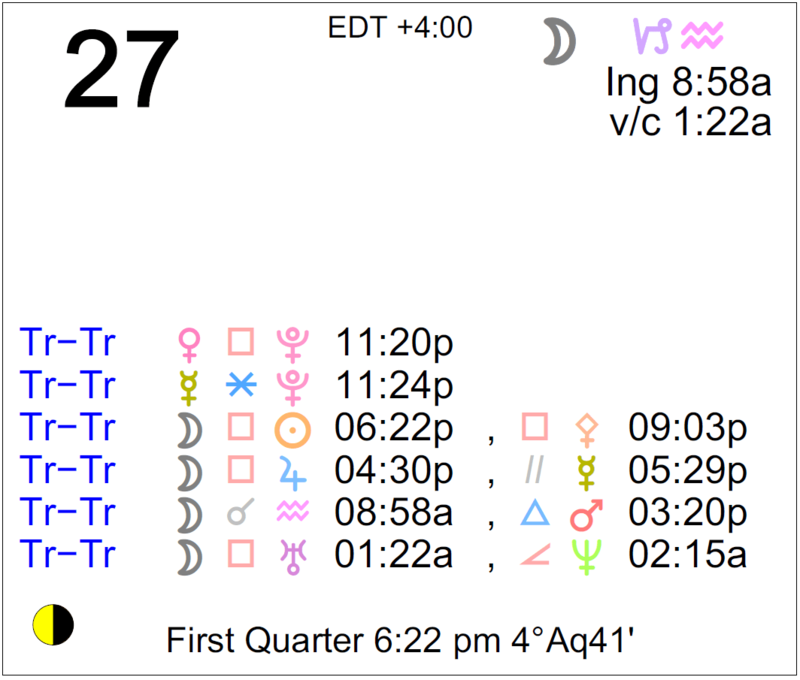 A Venus-Pluto aspect influencing the day suggests difficulties getting your way and seeing eye to eye with someone. Attempts to control people or situations rarely end well, so do your best to steer clear of manipulative tactics and people. You may decide it’s best to address a problematic area head on rather than let it fester. Be kinder to yourself by letting a matter go and moving on. Or, use the benefits of a Mercury-Pluto aspect, also active today, and aim to learn as much as you can from your interactions now. You’ll find it easy to hone in on the information you need. 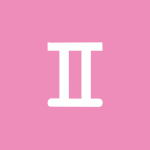 While the Moon’s move into your solar third house this morning is a lighthearted energy, Sagittarius, the day is complicated and a little heavy on emotional and mental planes. You may sense a hidden agenda, or you could feel frustratingly out of the loop with friends or associates. There is a general tendency to try to control others or manipulate our way to our goals, which should be avoided. Pick your battles wisely now and steer clear of people who are playing mind games altogether. If others seem to want to pull you into emotional game-playing, refuse to participate. Take the high road! You also have a supportive influence working for you today that encourages you to make sense of everything around you and to learn something valuable in the process. While you may be very wrapped up in your own little world today, this can benefit you if it affords you the opportunity to think more deeply about a matter. The Moon’s move out of your sign this morning tends to stabilize emotions, dear Capricorn, but Sun-Moon and Venus-Pluto squares today can have the opposite effect. You might be dealing with a competitive atmosphere on the job, or you may feel frustrated with a friend or associate whose values conflict with yours. Sometimes competition moves you to improve your game, but today, you are inclined to feel put off by it. While you can’t control how others approach situations, you can control how you respond, and sometimes the best response is no response at all! Fortunately, a Mercury-Pluto aspect helps you keep your cool. It can point to an ace up your sleeve or new insight that enables you to make the right choices for yourself. You may end up enhancing a bond with someone through a conversation, in fact. The Moon moves into your sign this morning, dear Aquarius, and personal or emotional needs can feel quite urgent! These may seem to conflict with your practical goals right now, so you may need to strike a compromise. A Venus-Pluto aspect in play today, however, makes it challenging to remain impartial or tone things down. Any tendencies toward emotional extremes can very quickly be stimulated, and overreaction to little problems and minor events is probably a symptom of a more significant problem. 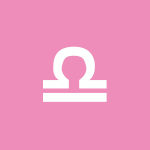 Fortunately, a Mercury-Pluto connection opens your mind to a new level or layer to a situation, and this helps you make good choices and draw accurate conclusions. This is, in fact, a strong day for learning new information that empowers you. You may choose to share ideas selectively or to give only a little bit now and more later! Revealing all of your thoughts doesn’t make good sense today. Roll things out slowly and strategically. 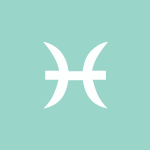 The Moon moves into your privacy sector this morning, and you crave more peace and quiet, dear Pisces. The quiet part may be easier to come by than the peace, however! A Venus-Pluto square influencing the day can stir up doubts and inner resentments or rumblings. Wavelengths are off between you and a friend, or you’re receiving mixed signals from someone you care about. Inner confusion about a relationship’s dynamics or depth can be the root of troubles now. If relatively simple problems work you up far more than expected, try to look for the reason why rather than allowing fears and frustrations rule your day. 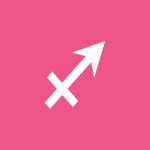 Helping you along is a Mercury-Saturn sextile that encourages investigating a problem more deeply from an intellectual standpoint. Discussions may be enlightening, or your own confidential conclusions are satisfying. It’s probably best to do more observing than sharing your thoughts at the moment. 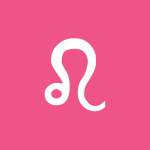 If Your Birthday is October 27th, If Today is Your Birthday full horoscope here. Perception of value is skewed by fear or desire. There can be envy, jealousy, and manipulation now. Issues of over-attachment can arise. Sabian Symbol: A woman comes to draw water from the well. Sun 02° Taurus 55' 52"
Moon 22° Sagittarius 39' 25"
Mercury 08° Aries 06' 55"
Venus 03° Aries 16' 21"
Mars 15° Gemini 12' 38"